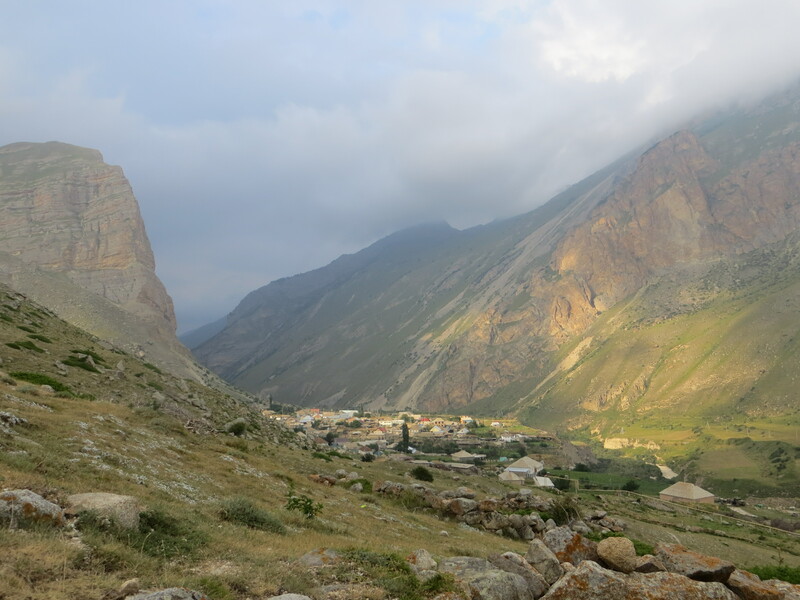 To have a better image of the place where I invite all my flying friends to visit at least once in their life – a post about Kabardino-Balkaria and the Gorge of Chegem in particular. 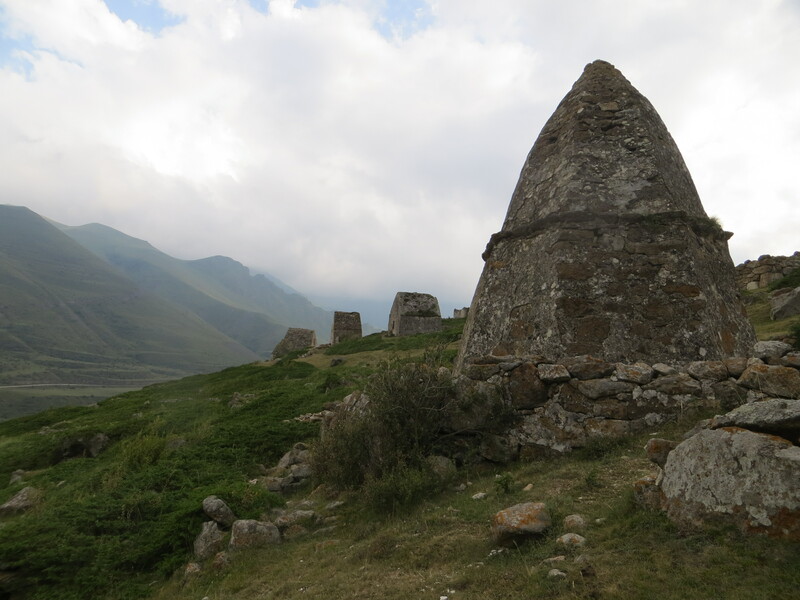 Kabardino-Balkaria is one of the republics on the south of Russia. Its main ethnic group is called Kabardintsy – more than 50% of the populations, followed by Russians and Balkartsy. The most numerous tribe counts its history from VI BC, from the ethnos of Adygy – those mentioned by the authors of the Antique world. Nazir, my dear friend, in his turn belongs to the group of Balkartsy, representatives of the most ancient native Koban archaeological culture of the Central Caucasus. 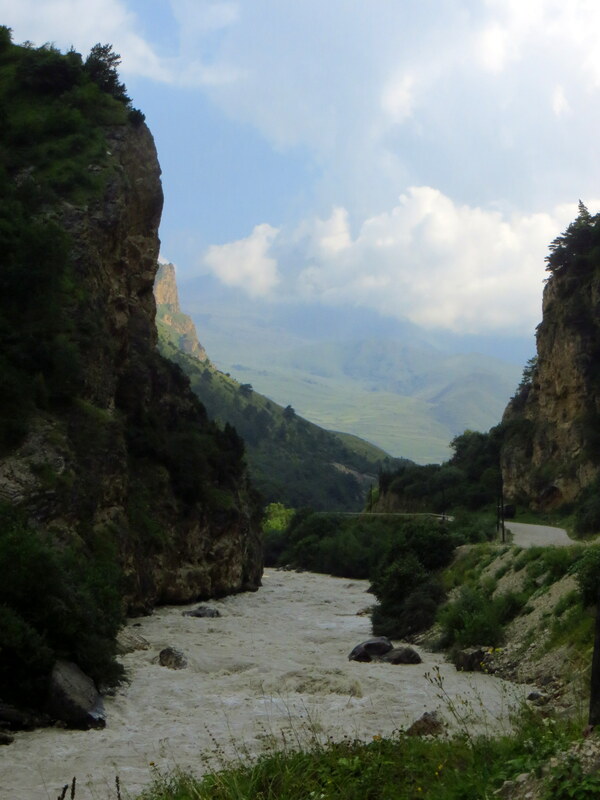 His ancestors were hunting in these mountains already in XIV-XIII BC. I won’t get too far into the history of this region but believe me it’s very fascinating. Such a central” location between Asia and Europe attracted here all types of battailous tribes and conquerors, including inglorious Genghis-knan and Tamerlane. The flag of the Republic. 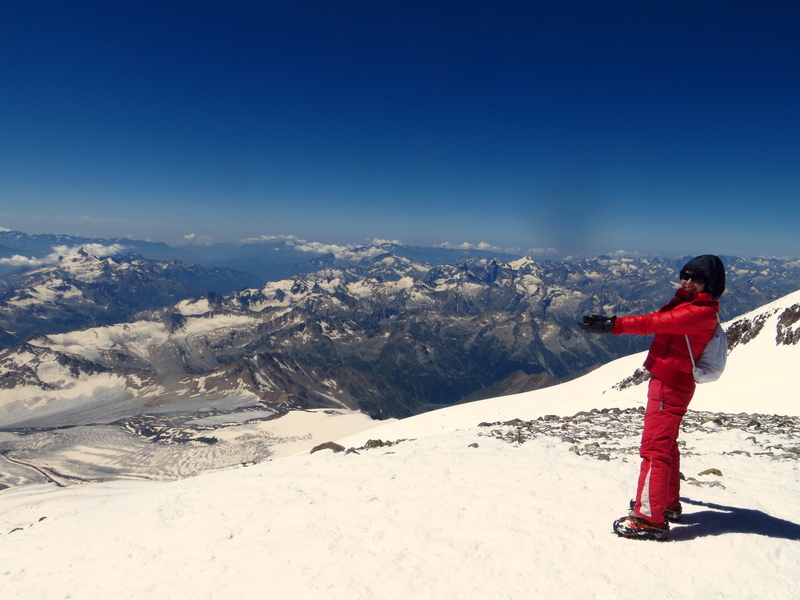 As you can guess, the mountain in the middle is Elbrus (5642m), the highest mountain of Russia and Caucasus. One Balkar village was famous for beauty of its young women. Once enemy entered the gorge and enslaved its inhabitants. The girls escaped from their native settlement to the edge and jumped down to the abyss. While falling, their gorgeous long hair clung to the rocks. This is how the waterfall were born. By the way, they freeze in winter, and I was told it’s a marvellous scenery. These’re not famous Chegem waterfalls. But around the gorge you’ll find plenty of hidden streams and cascades. 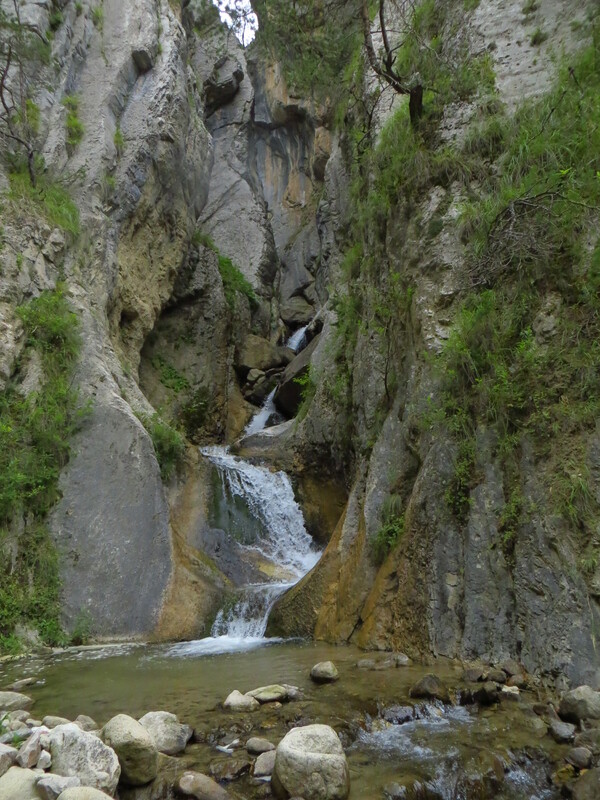 Chegem Paradrom is a walking distance from the Balkar settlement El-Tyubyu (Эл-Тюбю). Some of its houses were built here several centuries ago. The tower of the principles Balkarukov is a monument to a love story. 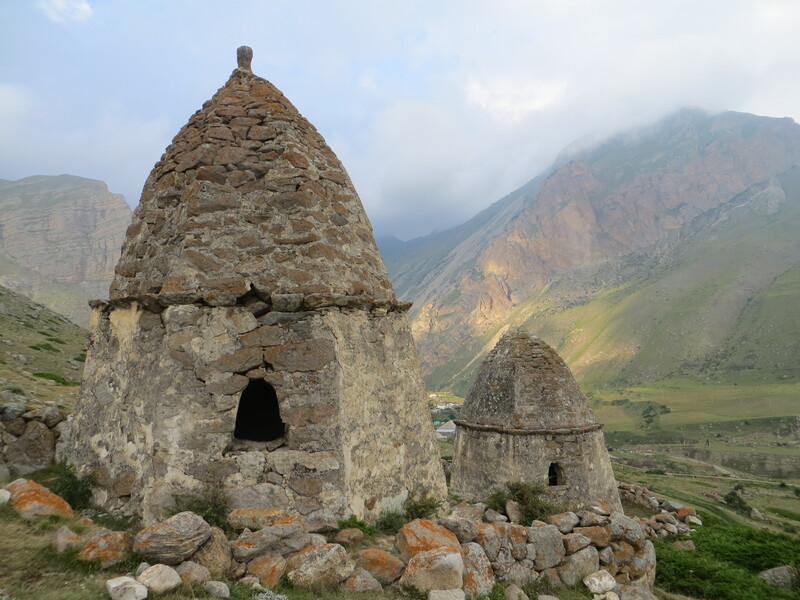 According to the legend, Ahtugang Balkarukov constructed it to protect his lands from the family of Kerime, a woman he kidnapped in Dagestan (another Russian republic). But the Middle Age is not the most ancient period of time that remembers the Gorge of Chegem. 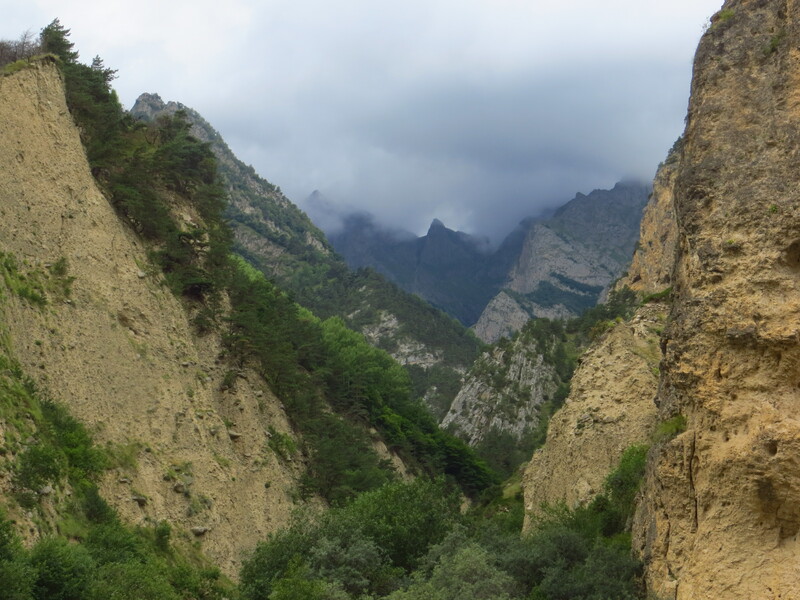 Not far from the village the Greek temples cut in rock massifs are found. There locals hid themselves from numerous conquerors passing through the gorge. Dead of ancient times still stay around the lively village. A bit up the hill – and I’m surrounded by mausoleums – dolmeny, how they are called here. Estimated X-XII centuries. And the last fact to leave you interested: not far from El-Tyubyu the abnormal zone was found. Kum-Tyube, “sandy hill”, a volcanic massif, is notorious for mysterious events happening around it….